Submitted by lynn on 12/11/2017 - 9:52am. Friends know me as the deal queen especially when it comes to food! 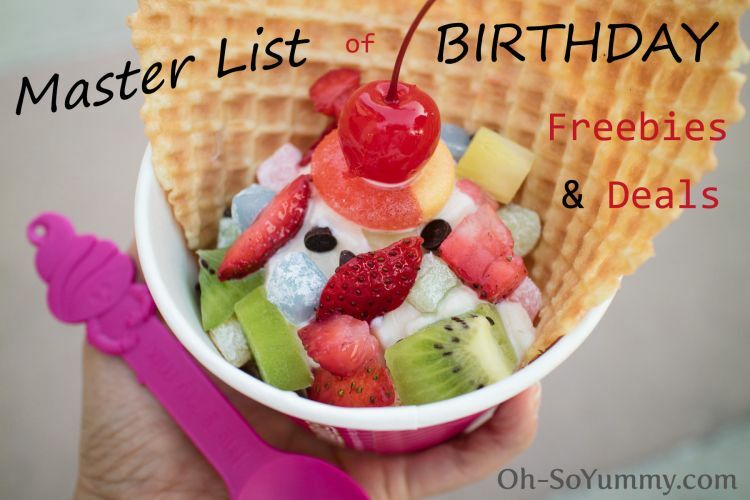 I've compiled a master list of birthday freebies and offers including local San Diego businesses which I'll update approximately twice a year (once for my birthday, once for Dennis's birthday). Some offers improved this year. Souplantation now gives you a free meal instead of B1G1 with drink purchase. Some aren't as good as before such as Noodles & Co offering a rice krispie instead of an entree. Regardless, you do YOU and sign up for what you want to eat or whichever businesses you want to support.